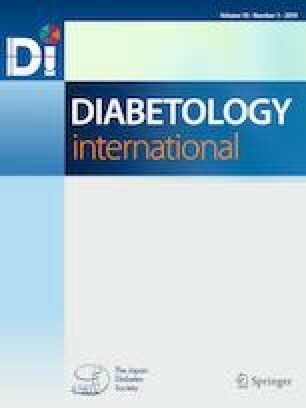 We clarified the clinical background of Japanese patients with type 1 diabetes mellitus (T1DM) who have received insulin therapy for 50 years or longer. Of 1,412 patients diagnosed with T1DM at an age younger than 30 years old between 1962 and 2000, 29 had a 50-year or longer history of diabetes. We investigated the mean values of HbA1c and systolic blood pressure (SBP) during follow-up, as well as diabetic retinopathy, diabetic nephropathy, and macroangiopathy. The mean age of the subjects at the time of diagnosis was 10 years and that at the completion of this survey was 66 years. The mean follow-up period was 43 years. The mean HbA1c value and SBP during the follow-up period were 8.2% and 130 mmHg, respectively. Seventeen percent of patients did not have diabetic retinopathy, 59% had proliferative retinopathy, and 66% had undergone photocoagulation. Fifty-four percent of patients did not have microalbuminuria and 11% had end-stage renal disease. Macroangiopathy was observed in 46%, cardiovascular disease (CVD) in 25%, and ischemic stroke in 18%. It became possible for patients with T1DM to live more than 50 years in Japan. We thank Drs. Maruyama, Nakayama, Hashimoto, and Ohashi for their cooperation. All procedures followed were in accordance with the ethical standards of the responsible committee on human experimentation (institutional and national) and with the Helsinki Declaration of 1964 and later version. Informed consent or a substitute for it was obtained from all patients included in the study. This study obtained the approval of the Tokyo Women’s Medical College Ethical Review Board (Approval date: Jan 16, 2017, No. 4,233).